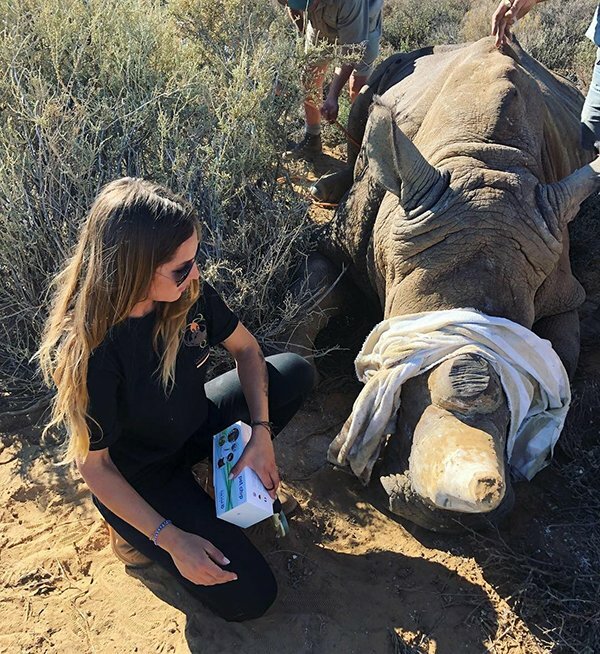 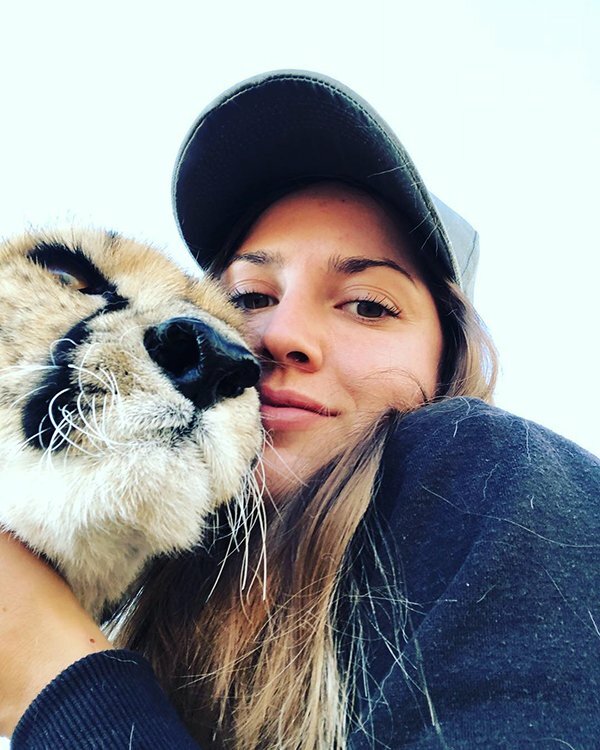 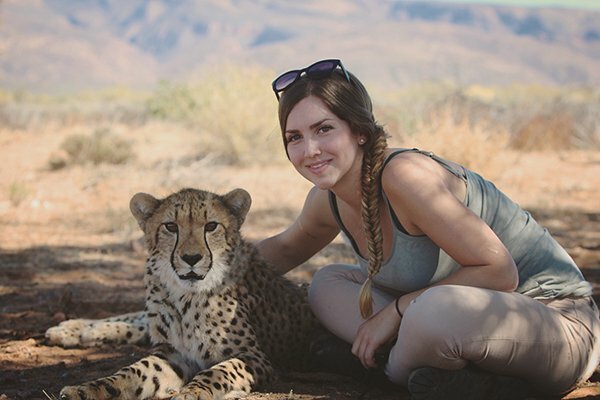 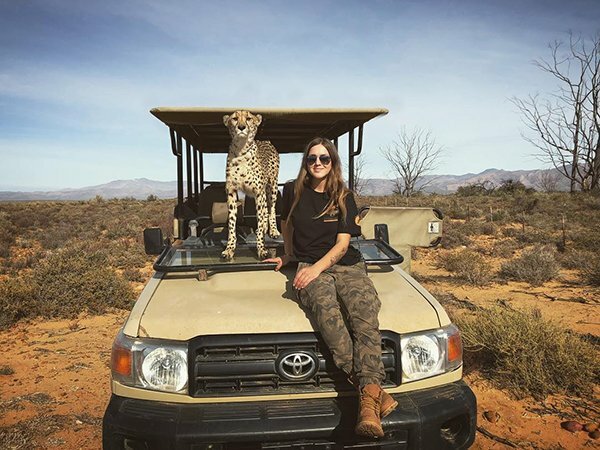 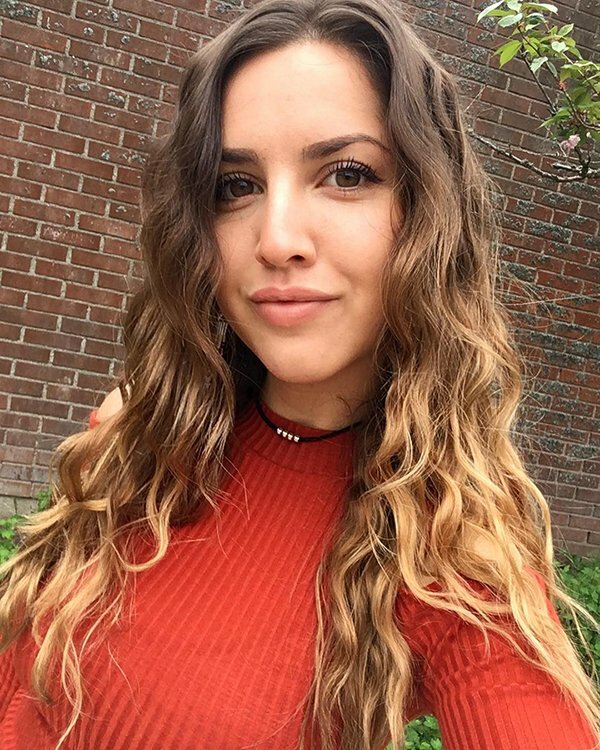 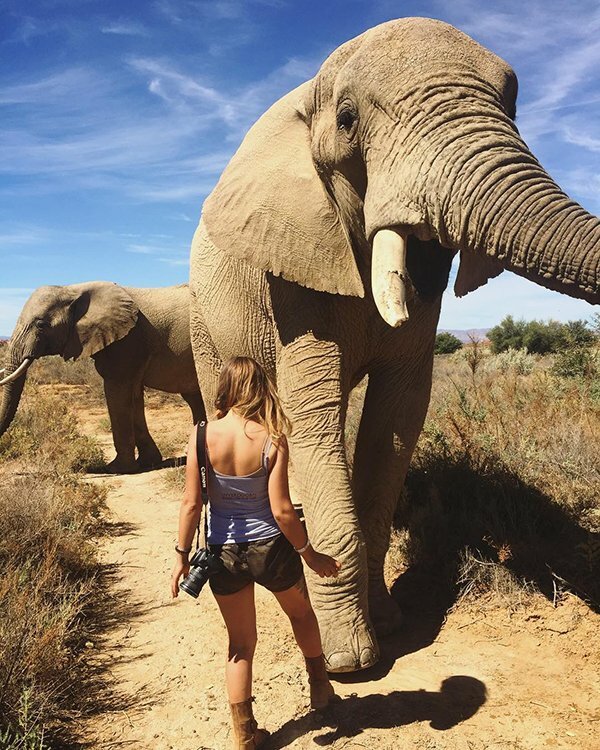 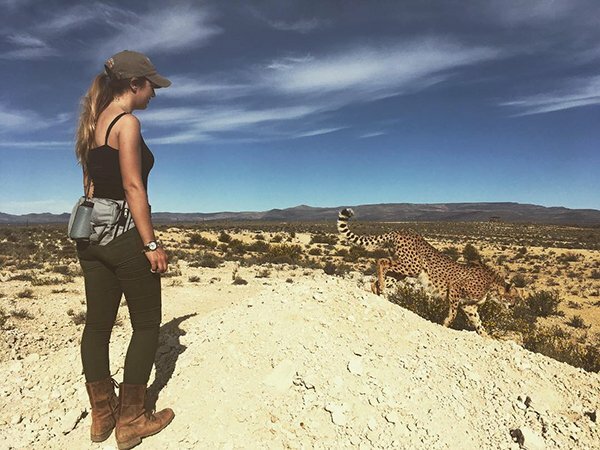 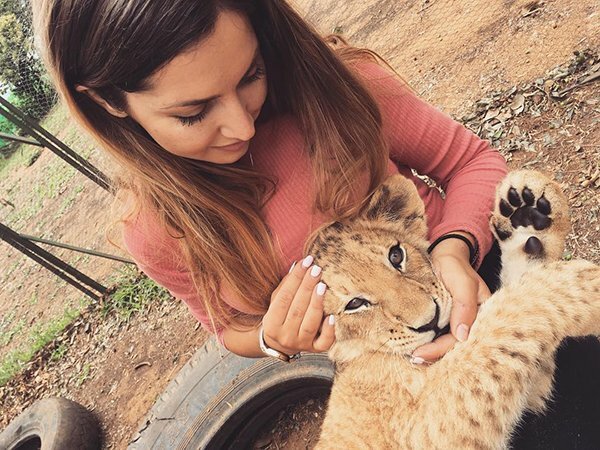 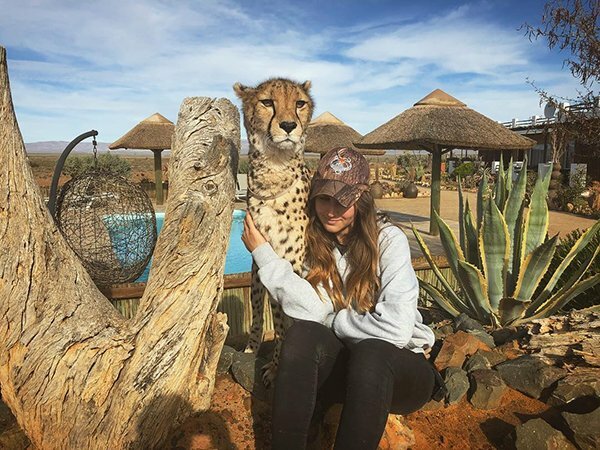 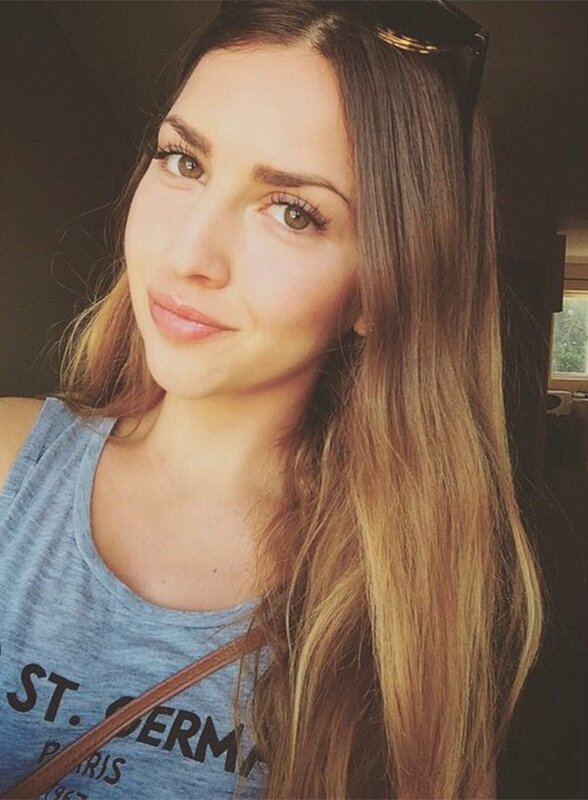 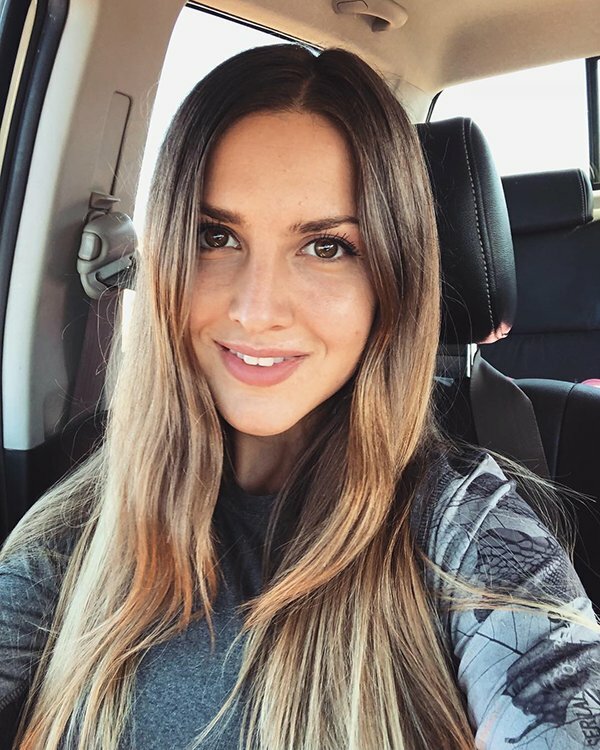 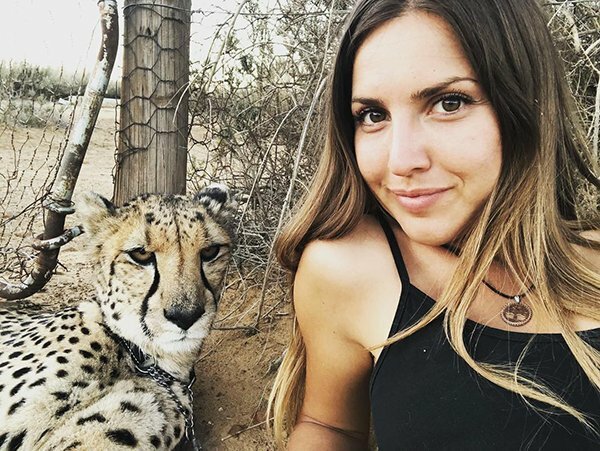 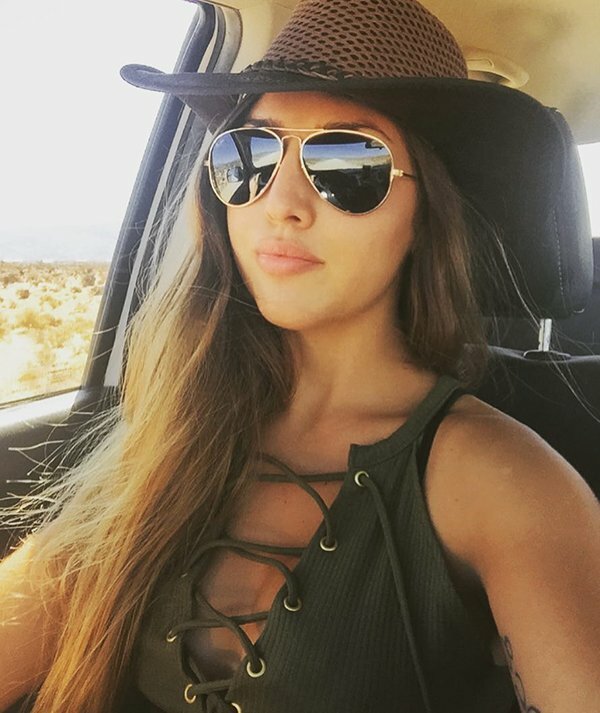 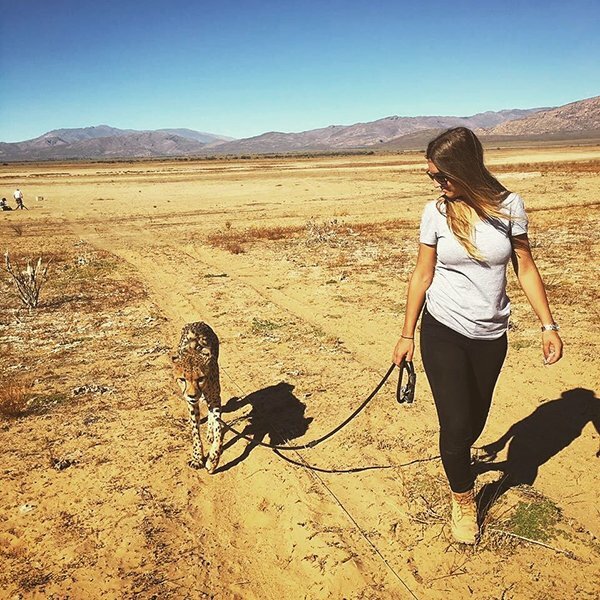 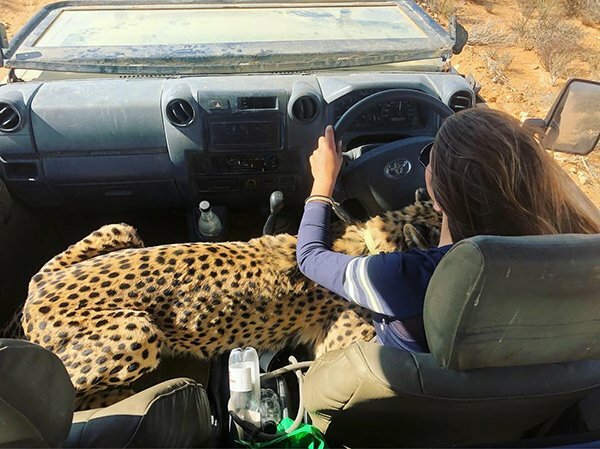 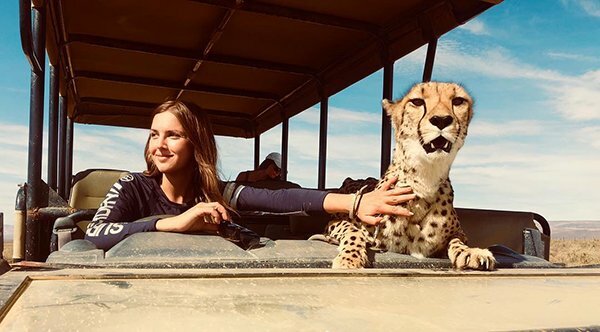 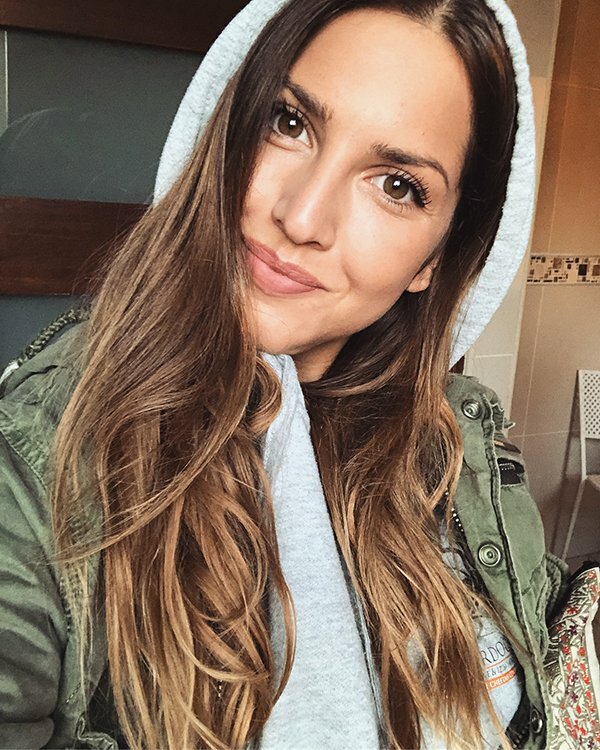 This adventurous Swedish beauty, Lisa Kytosaho, lives in Africa and is the Head of the Western Cape Cheetah Conservation. 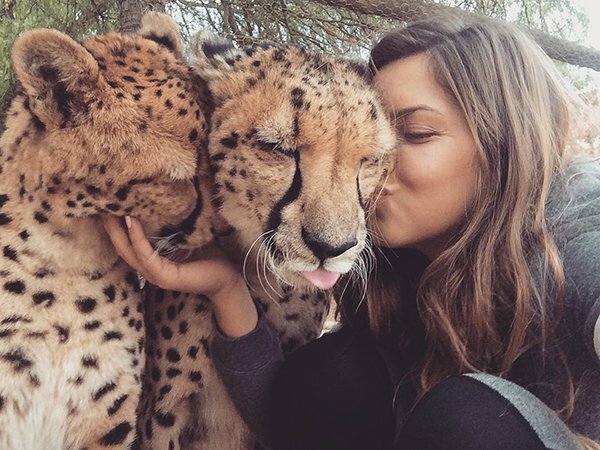 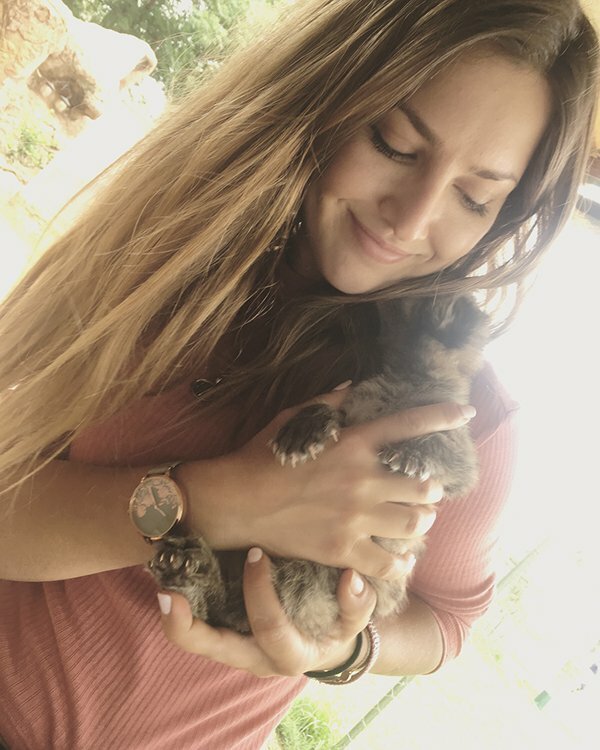 Normally aggressive towards humans, Lisa has no problem hugging and kissing the pack of 16 cheetahs that she’s raised as her own. 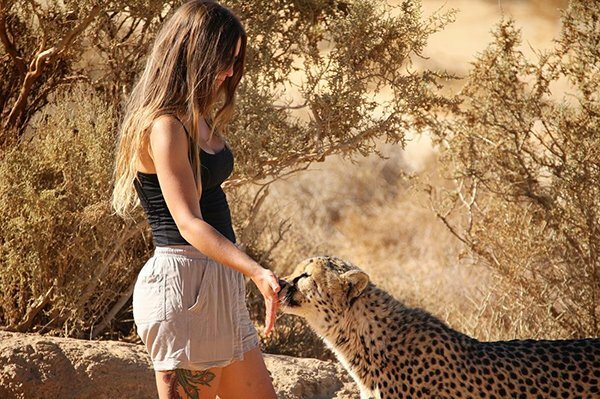 And I’m sure they don’t mind it either… she’s very purr-dy!